We laughed and giggled all day on set of Wendy's Freezy Diskz from Othr Guys LLC. This was Owen's, my favorite animal actor, least favorite shot of the day...but I rewarded him with lots of treats and rubs. This was Melissa's first experience working with animal actors, and she loved it! Owen was a dream on set; He is featured in three of the four How-To videos Melissa hosted for Petco. These online videos showcase Melissa's teleprompting proficiency as a narrator/on-camera spokesperson. Melissa was delighted to film "Frame" in her hometown of San Diego, CA with Ronald and her onscreen daughter Breanna Yde, who stars on Nickelodeon's "The Haunted Hathaways." This McDonald's commercial aired on Nickelodeon and Cartoon Network. Check out the article in USA TODAY, and watch the commercial. Melissa was absolutely thrilled to win the BEST ACTRESS award at Indie Fest USA in Anaheim, CA for her performance in the comedy, Ballbusters. The indie was filmed in Chicago. As a recurring host on The Virtual Channel Network, it was Melissa's honor to interview Mr. John Levey, SVP of John Wells Production (ER, West Wing) and to hear his feelings on the final season of ER. Melissa was thrilled to play "Mimi" who was caught in the middle of the drama between her husband, "Ken" and her dangerous ex "Joe," Ken's nemesis. The action film features many current MMA fighters and was set and shot in San Francisco. Fist 2 Fist is available on RED BOX and Amazon. Melissa Tan sat down with manager Wendee Cole, (President of Wendee Cole Management) who specializes in managing kids. 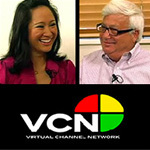 Melissa interviewed manager Brad Le Mack on the online show Industry RSVP In-Depth. 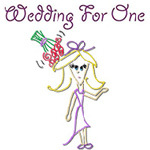 The short Wedding for One was accepted into the Poppy Jasper Film Festival in Northern California. This was the 5th year of this festival.